Eight weeks of work to repair the Exeter Street viaduct at Bretonside will begin on Monday, January 28th, while a major scheme to improve the Charles Cross area starts on Monday, February 4th - lasting until winter 2019. Currently, the impact these road works will have on our services is unknown, but some disruption is expected. Please be assured we have plans in place to minimise any effect on our network. To try to maintain services at their usual level, we have acquired extra buses from London which will be brought into service as required on routes that might see disruption. We hope this will minimise any delays that are likely to be caused. Our engineers have been busy converting the second set of doors in the middle of these buses acquired from London to make them suitable for travel in Plymouth. This means we have filled in the middle door area and built in extra seating. Plymouth City Council is asking people to think about alternative routes and using a bus instead of driving to help reduce the risk of congestion. 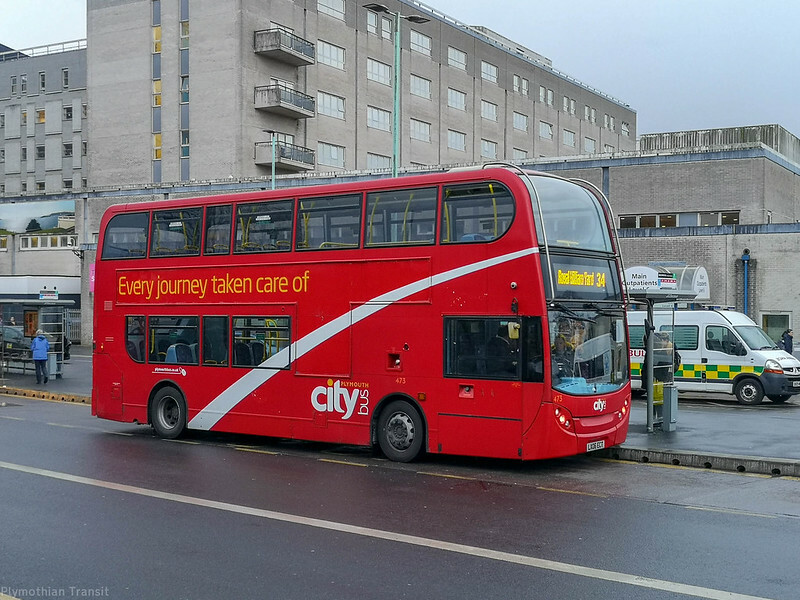 Richard Stevens, Managing Director of Plymouth Citybus explains: “We have been working with the Council on this project right from the start and have had input into how the scheme will be constructed to ensure our services run as smoothly as possible. “The buses we have brought in from London will hopefully go a long way to making sure that we are ‘business as usual’. Passengers are encouraged to check for the latest updates on potential disruption to services by following our Twitter and Facebook pages. Customers can also follow exactly where their bus is by tracking it in real time on our app. You can also check this area of our website for the latest updates on the works. As part of the Drake Circus Leisure Development of Bretonside, repair work needs to be carried out on the Exeter Street viaduct from Monday, January 28, lasting eight weeks. It will mean a series of lane closures that may cause delays for drivers. Contractors McLaren Construction will be working on the central reservation of the viaduct to waterproof it and replace old joints. Railings need to be removed before deteriorating concrete is taken out and a waterproof membrane installed along a 140-metre stretch of the road. Charles Cross roundabout, with Charles Church at its centre, is one of the key junctions on Plymouth’s transport network and accommodates the majority of the city’s bus routes. The Plymouth City Council-led scheme aims to reduce delays and improve traffic flow by creating more room for all vehicles while making crossings friendlier for pedestrians and cyclists. Infrastructure specialists Balfour Beatty have been appointed to carry out the works and will be working 12-hour days, six days a week, to reduce the overall time spent on the project. Planned improvements include an extra lane for traffic heading southbound on to the roundabout from Charles Street and a new layout for traffic and pedestrians designed to ease queuing on Exeter Street. This will include removing the existing separate bus priority signals from Exeter Street onto the roundabout, improving the flow for all traffic, but with additional bus priority on the roundabout itself. ©didbygraham: 473 - the only one I have seen out and about so far! 460/464/466/467 and 473 are out now.